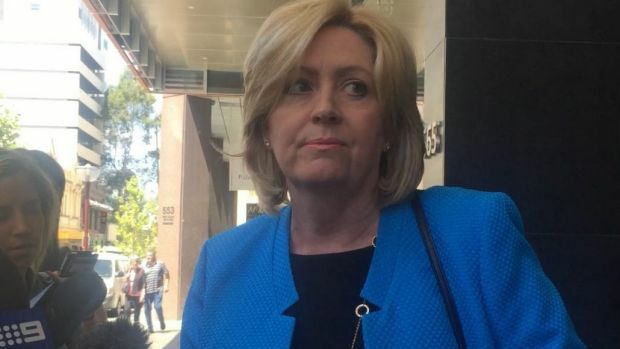 Embattled Perth Lord Mayor Lisa Scaffidi’s penalty for breaching the Local Government Act over accepting travel and hospitality gifts by businesses will be revealed today. Ms Scaffidi faces fines, a suspension or even disqualification after she failed to declare thousands of dollars of gifts from businesses. The verdict was originally set to be handed down in June, but Ms Scaffidi appealed findings that she repeatedly failed to disclose gifts and travel before the State Administrative Tribunal handed down its penalty. State Solicitors Office lawyer Carolyn Thatcher then said an immediate six- month suspension from the council was appropriate, saying the lord mayor “paid scant if any regard” to the need to complete her returns properly. “She failed to appreciate the significance of the returns,” Ms Thatcher said. In May the tribunal found Ms Scaffidi had breached the Local Government Act 45 times by not disclosing accommodation and travel gifts, including a $US36,000 package to the Beijing Olympics paid for by BHP Billiton. That was one of the five breaches she admitted. After the finding, both sides of politics called on the Lord Mayor to resign, with Premier Mark McGowan and WA Liberal leader Mike Nahan saying the SAT findings had made her position untenable. Premier McGowan urged Lisa Scaffidi “to do the right thing” and step aside. “This issue has dragged on for way too long and I think the people of Perth and WA have had enough,” he said. Mr Nahan joined the chorus of people calling on the Lord Mayor to quit. “The WA Liberals have waited for due process to occur… now the SAT has made this finding, we call on Ms Scaffidi to resign,” he said. A non-scientific poll conducted by WAtoday in May with over 5500 votes revealed more than 90 per cent of readers want the disgraced Perth Lord Mayor gone. But Ms Scaffidi said “walking was not an option”, saying she believed the SAT findings showed she had not acted dishonestly when failing to disclose gifts and travel – some of which were from companies with financial considerations before the council. Ms Scaffidi took 65 international and 47 interstate trips from January 2008 and October 2015. Following a 2015 Corruption and Crime Commission investigation into her travel activities – and an inquiry of its own in 2016 – the Department of Local Government recommended disciplinary action against the former Lord Mayor, alleging she breached its Act 45 times during 33 of the trips. Ms Scaffidi, however, refused to stand down from her role, instead choosing to fight the findings at the State Administrative Tribunal during a hearing in February. The 57-year-old admitted to five of the breaches including a $36,000 BHP Billiton-funded trip to the 2008 Beijing Olympics, a trip to Margaret River and a Hawaiian Investments-funded visit to Broome Cup in 2008. Both BHP Billiton and Hawaiian Investments (as part of a business conglomerate) had matters before the council which Ms Scaffidi voted in favour of. For the remaining 40 alleged breaches, Ms Scaffidi argued she was unaware her travel or accommodation was being paid for by third parties or she was unaware she needed to declare them. She conceded she wasn’t “very careful” submitting her annual expense reports and was sometimes “too busy” to properly read emails, which often detailed how third parties were paying for her flights and hotel stays. In one email, the former Lord Mayor replied to one of her staff, “Hope five star – let them know, I don’t stay in trash”. The State Administrative Tribunal found she seriously breached the Local Government Act on all 45 occasions referred to it after Ms Scaffidi and the Department of Local Government and Communities was unable to reach an agreement during mediation. Australian Federal Police refer Ms Scaffidi to the Corruption and Crime Commission after US investigators found BHP Billiton gave her flights and tickets to the 2008 Beijing Olympics worth up to $US36,000 as part of a wider probe into the firm’s entertainment of foreign officials, for which it was later fined $32 million. Ms Scaffidi narrowly avoids defeat in council elections. Then opposition leader now Premier Mark McGowan vows to sack Ms Scaffidi if he wins the March state election. The Corruption and Crime Commission reveals it is investigating the City of Perth’s abrupt, controversial sacking of CEO Gary Stevenson as well as non-disclosure of gifts and travel from other City of Perth councillors. A lengthy mediation process between the Department of Local Government and Ms Scaffidi fails, after the department pushed for the Lord Mayor to be suspended. The Lord Mayor fronts a State Administrative Tribunal, which will determine if she should be disciplined for the alleged 45 breaches. She only admits to five of the breaches. 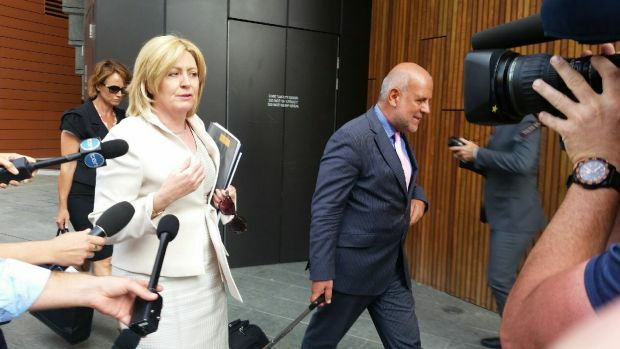 Ms Scaffidi is censured by the Local Government Standards Panel after it found she improperly used her position to allow an eleventh-hour no confidence motion to be carried against her deputy James Limnios in May 2016. Premier Mark McGowan calls on Ms Scaffidi to stand aside, labels the entire council dysfunctional. Ms Scaffidi refuses. The State Administrative Tribunal finds Ms Scaffidi seriously breached the Local Government Act on 45 occasions. WA Liberal leader Mike Nahan joins Premier Mark McGowan on calling for her to resign but the Lord Mayor refuses, saying she will accept whatever penalty SAT gives her. The State Administrative Tribunal will hold a penalties hearing for Ms Scaffidi on June 14 and 21.